Air New Zealand is excited to announce that beginning in December 2017, they started flying the Boeing 787-9 Dreamliner between Houston and Auckland year round. During peak season, Air New Zealand will be increasing to seven services per week. 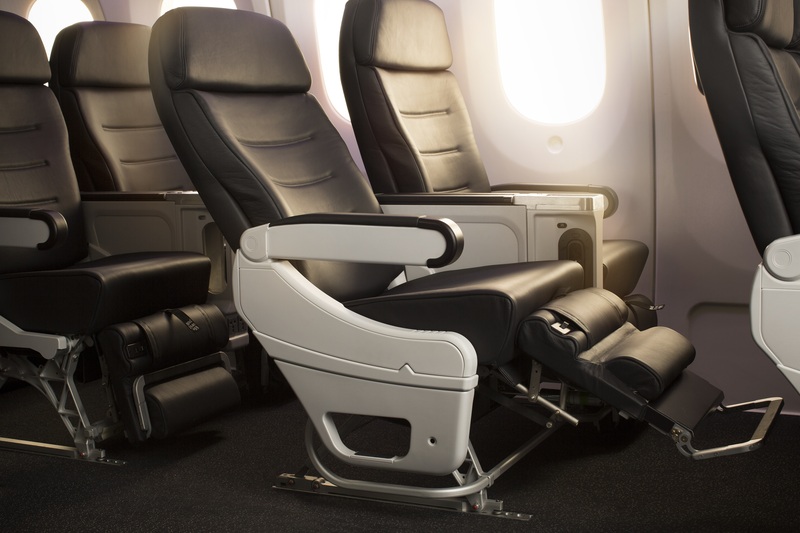 The Dreamliner has more premium seating options than ever before. These options include the Economy Skycouch, Premium Economy and Business Premier. Business Premier: The best way to fly. The cabin features luxurious leather lie-flat beds, complete with a memory foam mattress and two full size pillows. Premium Economy: Enjoy a luxuriously soft and roomy armchair as you relax and experience Air New Zealand’s famous cuisine. Economy Skycouch: A row of economy seats that can be turned into a comfy couch after takeoff. Use it as a bed or even a play area. Air New Zealand is the only airline that offers this clever and comfy option. The Dreamliner is here to make sure your New Zealand getaway is off to a relaxing and comfortable start. Kit is the Vice President of Esplanade and has traveled extensively throughout Australia and the South Pacific. She even lived in New Zealand for a year! Kit is a certified Aussie, Kiwi and Tahiti Tiare Specialist. Air New Zealand is Airline of the Year… Again! Air New Zealand flies non-stop from Houston! I just wanted to touch base and let you know that you did an absolutely phenomenal job in planning our trip and with our itinerary! WE LOVED IT. We were really pleased and we want to go back to NZ in the future. It was a delightful place.